HP is continuing its series of free virtual conferences, giving IT professionals online access to briefings on business and technology trends about data center transformation (DCT) from HP executives and third-party experts. During the newest upcoming events, which run July 13-15, those attending will have the opportunity to listen to, and chat with, technology experts from HP, as well as hundreds of other IT professionals. The free, half-day virtual events, organized by region, explore IT strategies and solutions to avoid performance pitfalls and to achieve more predictable results. 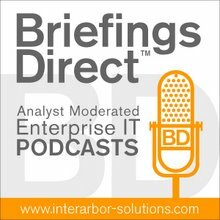 They discuss DCT and explore approaches for delivering significantly higher data center results in a shorter time-frame. The purely online events also provide keynotes and other "auditorium" sessions, an exhibit area, and an opportunity to network online. Closing keynote case study: Data center transformation results in billion dollar annual savings. Speakers include: Hande Sahin-Bahceci, Data Center Transformation Manager, HP Technology Services; Bob Meyer, HP's Worldwide Solutions Lead; Duncan Campbell, VP of HP's Worldwide Marketing; Peter Gross, Vice President and General Manager of HP Critical Facilities Services; Jay Mellman, Sernior Director for Worldwide Marketing HP Networking; and Pete Karolczak, Senior Vice President and General Manager of HP Enterprise Services. The conference will be offered for Europe, The Middle East and Asia on July 13, the Americas on July 14, and Asia Pacific and Japan on July 15. Follow the links in the below box to learn more and register.